This is a pivotal moment in human history. Widespread, rapid change has made many of our previous ways of organising and working together obsolete. Groups of all kinds – be they voluntary associations, social enterprises, communities or governments – are seizing the opportunity to make a shift towards more collaborative ways of interacting, aiming to increase their effectiveness in a changing world. Despite these groups’ best intentions and often considerable skill, many find they are unable to achieve complete and lasting change. Here at The Culture Garden, we’re opening up the territory of our group cultures, learning a new landscape and building the skills we need to transform our cultures — and the world — from the inside out. Our engaging, experiential programs for Youth, Communities, and Community Development Practitioners convey the essential elements and up-to-the-minute best practices for co-creating healthy group cultures. We host the luminaries of culture shifting work in our ongoing speaker series. Each event is held at a public venue in realtime, to stimulate conversation and to support place-based networks. We believe that Masculine and Feminine energies interact and express uniquely through every person and group. We hold circles to share and unpack our personal experiences of these powerful archetypal qualities, and to collectively rewrite the script of gender and culture in the world today. 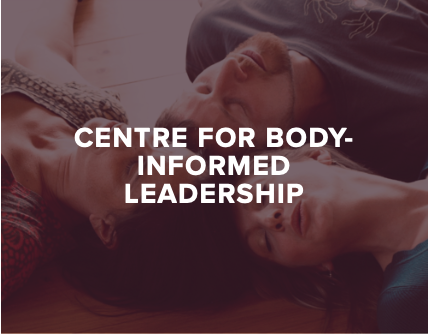 CBIL, our partner organisation, is a hub of pioneering insight, education and practice for using “Somatic” tools to nourish and transform our group cultures from the inside-out.